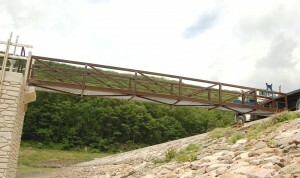 This custom designed and built pedestrian bridge spanned and connected and area for a pedestrian walkway in Poe Vally State Park. 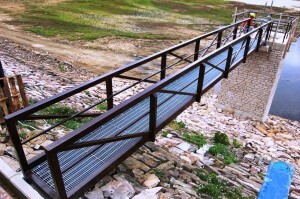 Just one more example of how Producers Supply Company is able to produce a variety of solutions for your specific needs. For more information on how Producers Supply Company can partner with you for you specific design needs, contact us directly at 717-892-7273 or e-mail us at sales@producerssupplycompany.com.